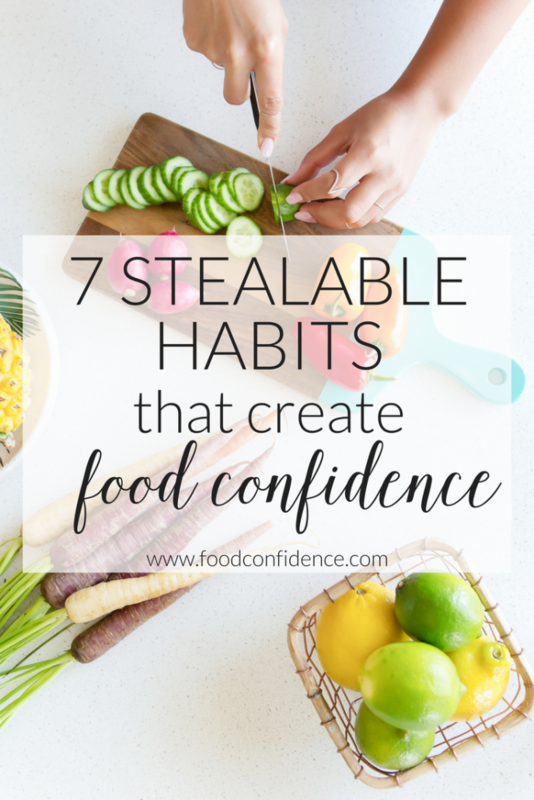 Becoming food confident doesn’t happen overnight. Eating mindfully and choosing food that nourishes your body takes practice, especially if you’ve got a busy schedule and are used to eating on the go. Instead of reaching for a quick fix or going with the latest diet trend, a better idea is to create your own healthy habits. 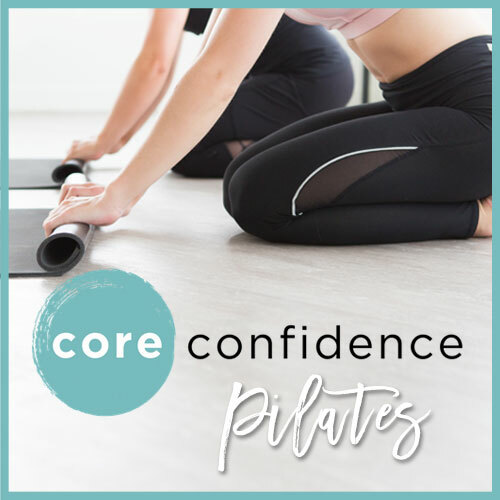 I’m talking about do-able things you can implement every day, every week, or every month that support the healthy lifestyle, creative exploration, and mindfulness you desire. Below are some of the habits I’ve developed over the years that help me stay one step ahead of my busy schedule and support me in creating the healthy lifestyle I want to live. That’s what creating food confidence is all about. 1. When meal planning for the week, I choose one veggie and make several meals using it. Based on what’s in season, I’ll choose a star veggie for the week and buy it in bulk or family size. That makes it easy to navigate grocery shopping and is a great reminder of how versatile veggies are! (This is especially helpful if you’ve been throwing food away that you bought, but never made.) If you buy a amily-size portion of asparagus, for example, you could make my asparagus-zoodle dish one night, grill the asparagus another night and try my asparagus and white beans on the last day. All super simple, but very different ways to use one veggie. For inspiration when planning meals, I head to Pinterest to find fun new recipes using my chosen veggie. If the idea of one veggie seems limiting, then you could certainly go with two, but the idea is to simplify! 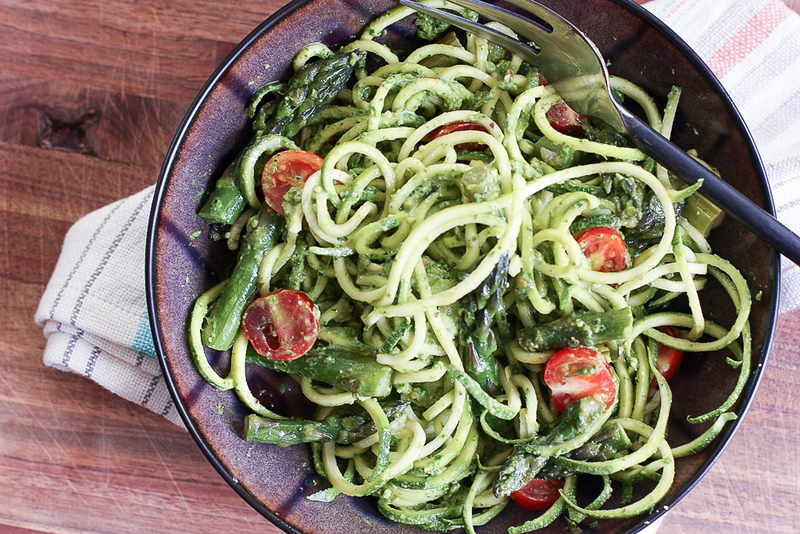 TIP: A favorite veggie to cycle through in the summer is zucchini – it’s great sauteed, roasted, or in zoodle form! Pick up several pounds at the market and make my Lemony Zucchini Noodles with Spinach, Cherries, and Pine Nuts, these Lasagna Zucchini Boats, Baked Parmesan Zucchini, and even Turkey Burgers with Zucchini throughout the week. 2. I automate breakfast to make my busy mornings flow. I don’t like to overthink my meals, so I automate as much as possible. This works especially well in the morning. Many of my clients tell me they have no time for breakfast so “automating it” is always my go-to advice. 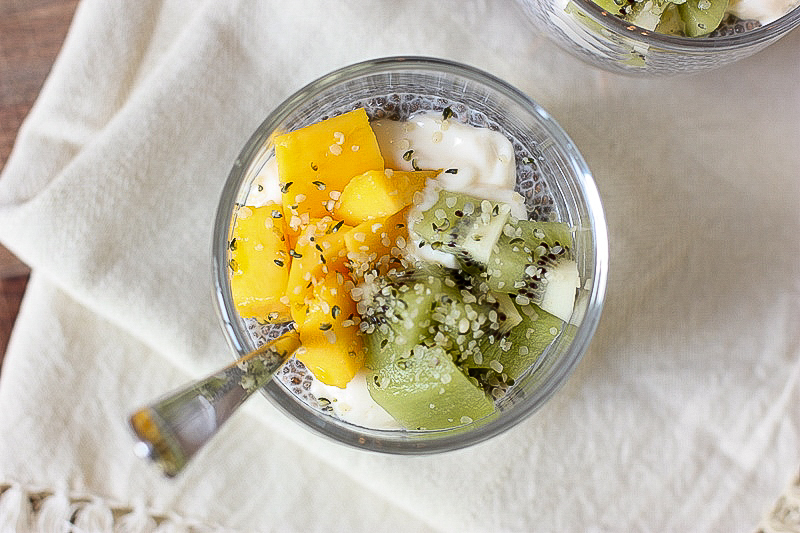 Making a big batch of my Mango Kiwi Chia Seed Pudding or Easy Egg Muffins saves time and leaves no excuse for either not eating or stopping somewhere on the way to work. TIP: If you’re into the idea of having breakfast all laid out for you in the morning, but aren’t a fan of eating the exact same thing every day, overnight oats are the way to go. You can make 5 jars to last you all week, but add different flavorings to each one to mix things up a little bit. (Check out some mix & match flavor ideas for your overnight oats here!) Breakfast will still be automatic, but you can squeeze in some variety! 3. I read cookbooks for ideas and inspiration. 4. I roast a ton of veggies on Sunday night. I’m much more likely to snack on veggies, add them to sandwiches, and omelets or make a Buddha bowl for lunch if the veggies are already roasted and ready to go! My favorite way to cook a huge batch of veggies is to roast them because it’s so easy and I can roast just about any veggie with my versatile formula. 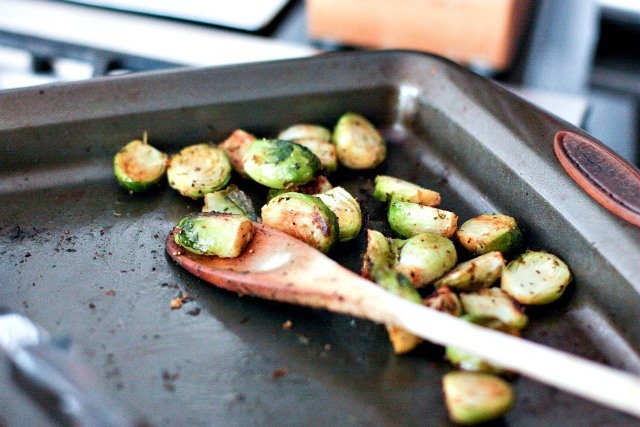 While cooking Sunday dinner I always leave the oven on and throw in a tray or two of cauliflower or Brussels to roast while the oven is hot. They cook up while we eat dinner and it adds no extra time to my dinner prep. This saves me time and money because at the end of the week I don’t end up with a fridge full of limp veggies that I never got around to cooking. 5. Every month, I create a goal of trying one totally new-to-me cooking technique or recipe. I don’t ferment my own sauerkraut or make homemade yeast bread every day, but once a month it’s a good reminder of how fun cooking can be! I gather inspiration from those cookbooks I mentioned earlier and tackle one big food project. It’s a great way to slow down and pay attention to my food and how it’s made, rather than running on autopilot all the time. Even when my experiments don’t turn out perfectly (it happens!) it’s a creative outlet and great practice in patience and mindfulness. Next on my list is to make Homemade Coconut Yogurt! 6. I host (or attend) monthly supper club. Instead of having friends over for dinner where one person does all the cooking, my supper club friends and I take turns hosting each other. We have theme nights and each of us chooses a meal type to bring. 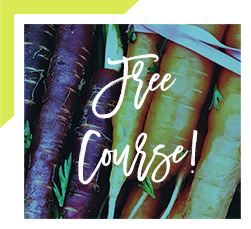 This is a great way to make cooking fun and introduce my friends to healthy new recipes. I love having friends over to eat, but it can get seriously stressful to plan everything out and get all the cooking done yourself. With a supper club, entertaining is way more fun. 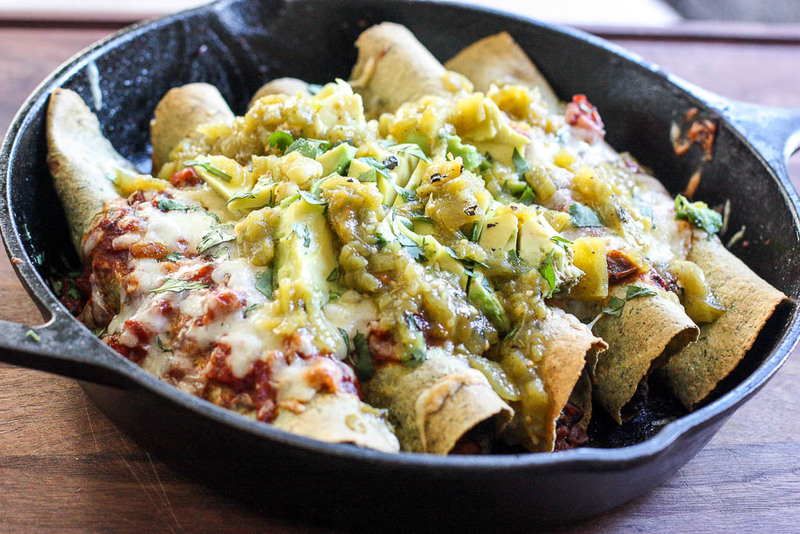 The host always makes the main meal and the guests bring the apps, sides and dessert. 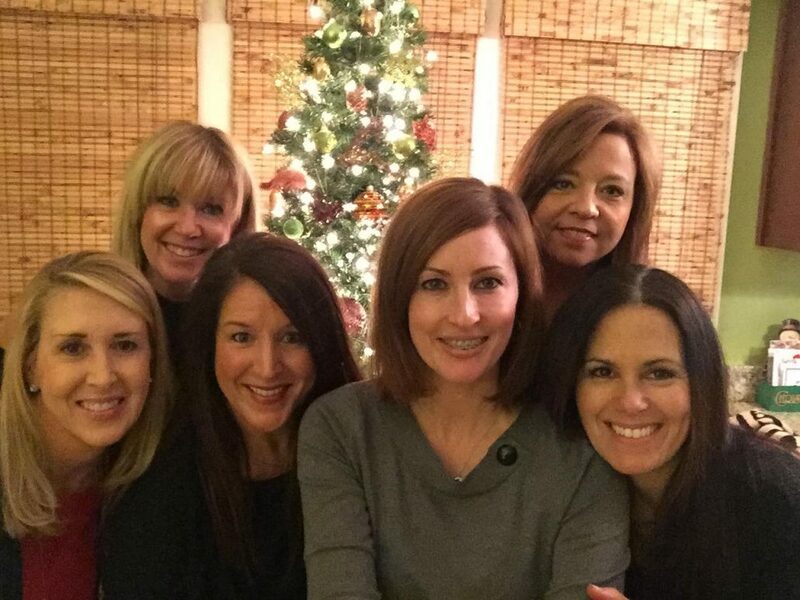 It’s always a super fun time and I look forward to the first Thursday of every month with my girls. 7. I plan for leftovers. I double dinner recipes so that I have leftovers for lunches or even another dinner. If it doesn’t look like I’ll get around to eating the leftovers before they go bad, I freeze them and have a whole dinner ready to go for an emergency. Doing this has saved me from plenty of desperate take-out meals, and no one ever complains about having the same delicious dinner twice in a week! My Skillet Tempeh Enchiladas, Creamy Potato Corn Chowder, and Kung Pao Tempeh all make for great leftover meals! 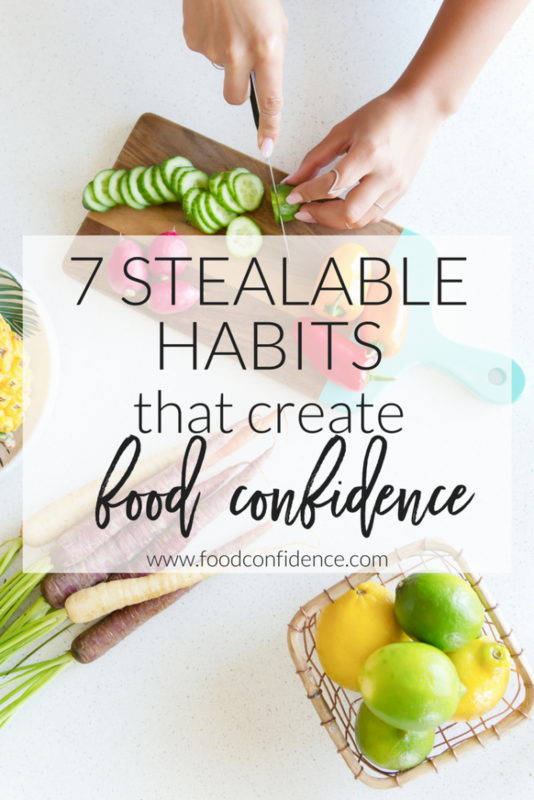 What are some of your healthy habits that create Food Confidence? 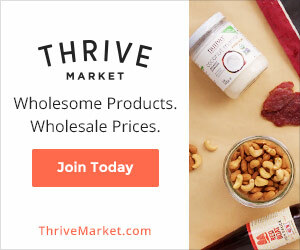 Want to create some healthy habits together? 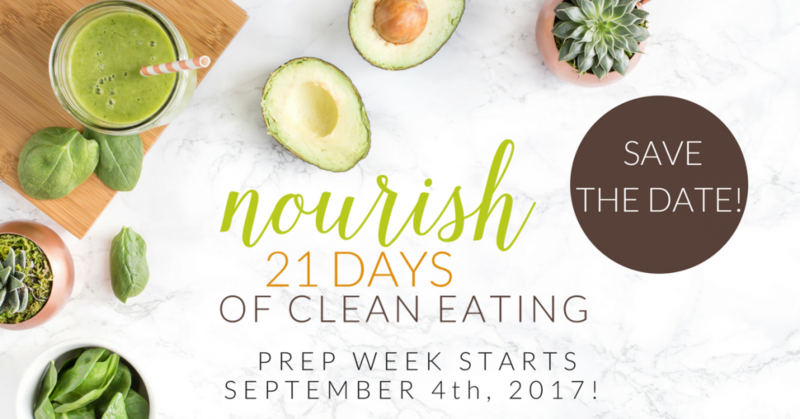 Join me and hundreds of others in my next session of Nourish: 21 Days of Clean Eating. 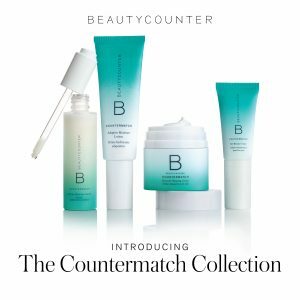 We start September 4th! Click here to learn more and get on the interest list! I’ll definitely be “stealing” a few of these ideas, thanks for sharing! With Autumn fast approaching, roasting veggies on a Sunday is a great idea for the season. 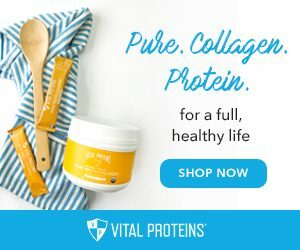 Peanut Butter Chocolate Protein Bites What are Prebiotics?